Silverline Montessori School is a leading preschool and elementary school providing a quality Montessori education in Towne Lake, Texas, lying at the intersection of Cypress North Houston Road and Hempstead Highway, right off of Northwest Freeway U.S. Route 290. Towne Lake is a growing community located in the heart of the Cypress-Fairbanks area. The community of Cypress sits just 25 miles, or about a 50 minute drive, northwest of Downtown Houston. Towne Lake is centered on the largest private recreational lake in Houston, amid the natural beauty of Texas Hill Country landscaping. Residents can ski, sail, fish or hop in their boat to visit their neighbors. Towne Lake offers the best of lake living with the 4th largest lake in the region, making it one of the most sought-after residential areas in Northwest Houston. There are a host of activities available for its residents including fitness centers, hike and bike trails, parks and playgrounds, and a water park featuring a lazy river. The community also puts on a variety of events, including a lakeside luau, fun run, kid’s triathlon, and car show. Even with all the excitement right at home in Towne Lake, more fun awaits in the surrounding Cypress area. For the artists in the family, Color Me Mine Cypress, a walk-in paint-it yourself ceramics studio, offers classes, events, birthdays, and workshops for people of all ages. For the children that like to be pampered, Sweet and Sassy, a salon, spa and celebration place offers trendy haircuts, spa packages, and birthdays that will have them feeling like a princess or celebrity. Meanwhile, Little Beakers Science Lab for Kids, which offers group events, birthday parties, mini summer camps, and parents’ night out services, is the perfect place to take the little ones who love science. There is also a variety of shopping nearby including Houston Premium Outlets, a popular Cypress destination for Towne Lake families, with favorite stores like Carter’s, Gap Kids, The Disney Outlet, and the Gymboree Outlet. Town Lake Cypress area is a golfer’s dream, home to three impressive golf courses. Collectively, BlackHorse Golf Club, Cypress Lakes Golf Club, and Longwood Golf Club offer scenic settings, family memberships, lessons, and junior golf camps. For some more adventurous outdoor fun, TXR Paintball is Houston’s largest and top ranked paintball facility offering paintball tournaments, parties for any occasion, and unique paintball options for different age levels. With the city of Houston located less than an hour’s drive away from Silverline Montessori School, the fun never stops for Towne Lake families. Full of energy and rich in diversity, Houston offers a dynamic mix of first-class attractions that makes it a popular international destination. Houston has evolved into Texas’ biggest City (and the largest in the South). Known as the Bayou City for its waterway system, Houston is major corporate center and home to more than 20 Fortune 500 companies. All of this and more make Houston a fantastic place to work and play. Like Cypress, the City of Houston is home to many enjoyable outdoor activities including the free and educational Sam Houston Boat Tour service, which offers the public a 90-minute round trip tour along the Houston Ship Channel. Bayou City Bike Tours, a Veteran owned company, is another fun tour service that offers private tours for families and friends. Houston is also home to the unique guided camping experience called Escape the Pavement, which offers themed camping adventures and complete camp setup packages. 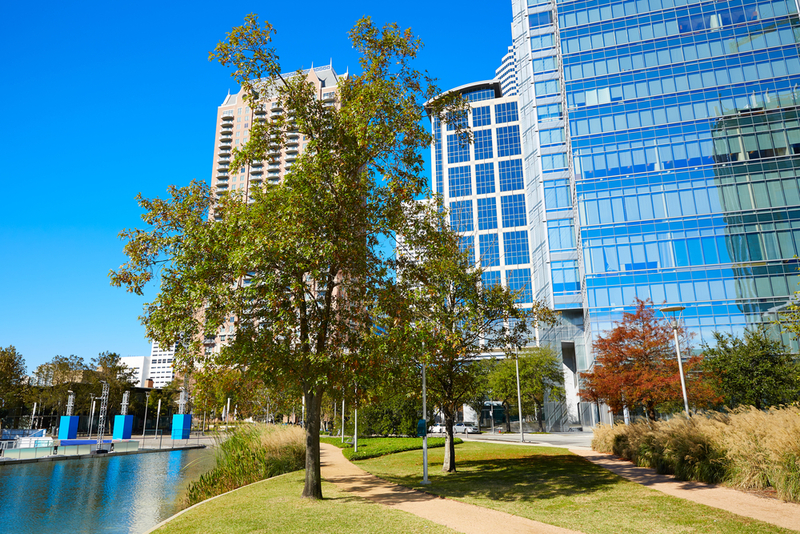 Hermann Park Conservancy, located within walking Distance from the Texas Medical Center, Rice University, and the Museum District, is another great way for families to feel at one with nature. The historic 445-acre park hosts the annual Kite Festival, which attracts thousands of Houstonians, and a weekly Children’s Story Hour which is followed by a fun activity for the kids. Silverline Montessori School in Towne Lake Cypress is proud to be the third Silverline education center to serve the Greater Houston area. The Towne Lake Cypress location is the newest Silverline campus, offering a preschool and elementary education that strictly adheres to the Montessori philosophy. Silverline Montessori School also offers programs for infants and toddlers that encourage them to explore, play, and learn. The classrooms in Silverline Montessori Towne Lake Cypress consist of 20 to 25 students, a skilled teacher and teacher’s aid, and are well equipped with didactic materials and lessons. Silverline Towne Lake Cypress campus is only a 40 minute drive northwest from Downtown Houston. A quick hop on the I-10 W will take you to I-610 N, where you can merge directly onto US-290 W. After about a 15 to 20 minute drive on the 290 W, you will merge onto US-290 Frontage and then make a slight right onto the Barker Cypress Road S ramp. Another right turn onto Cypress North Houston Road will leave you at the doorstep of Silverline Montessori Towne Lake Cypress. Similarly, George Bush Intercontinental Airport is also just a 40 minute drive west to Silverline Towne Lake Cypress campus. To leave the airport, head west on Will Clayton Parkway and merge onto John F Kennedy Boulevard where you will continue until you reach the Sam Houston Tollway Intersection. Turn right to merge on to Texas 8 Beltway Frontage Road and follow the Sam Houston Tollway W for about 20 to 25 minutes. As you pass Jersey Village, use the right two lanes to merge onto US-290 W toward Austin. Continue on US-290 Frontage for about 10 miles and then exit off onto Barker Cypress Road. Make a right turn onto Cypress North Houston Road to reach your final destination, Silverline Montessori Towne Lake Cypress!